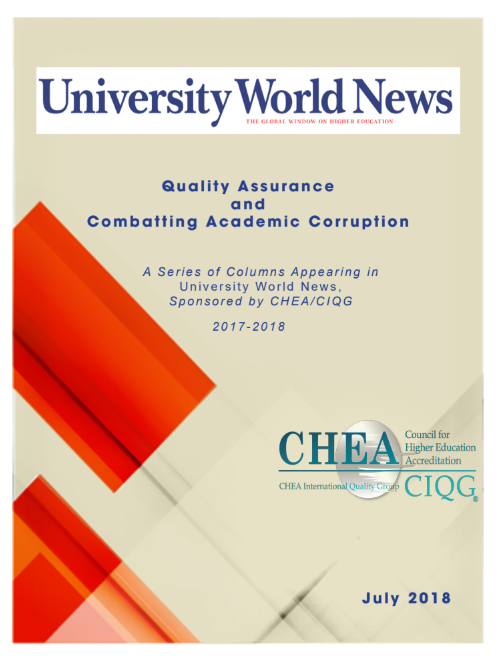 Beginning in July, 2017, CHEA/CIQG sponsored a series of four columns in University World News on quality assurance and combatting academic corruption internationally. Authored by Managing Editor Brenda O’Malley, the columns explore topics ranging from the digital revolution in cheating to seeking global cooperation in the fight against academic corruption, with a focus on the role of quality assurance. Read a compilation of these columns and to learn more about what quality assurance and CIQG are doing to address this important international issue.